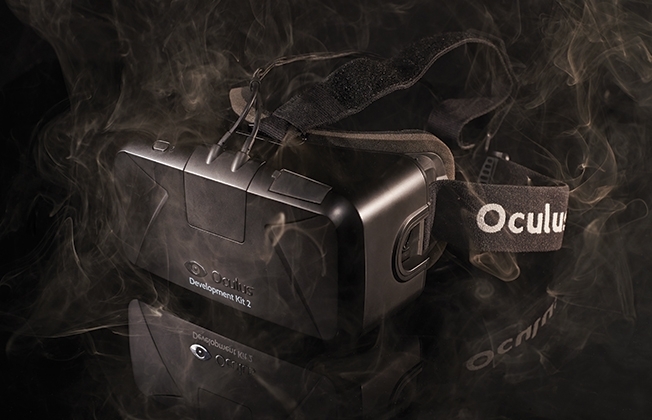 Is Virtual Reality The Next Frontier For Brands? Over the last few months, there have been numerous pushes towards virtual reality as the next accessible platform for how we consume entertainment. With Google offering up the cardboard version of the technology, coupled with the content-filled apps of content just for the medium, virtual reality is set to take centre stage in 2016 in a big way. VR headsets will eventually break into the mainstream and while the earliest versions will likely by higher priced incarnations, they will become more accessible to wider audiences at some point. So what does this mean for marketing? For online shopping? For branding in general? While we may be some time away from full-fledged buying and ad platforms in the VR world, it’s worth speculating how it might work out and be an interesting and useful advancement for everyone. That platform will undoubtedly encourage brands, marketing and advertising agencies to push the boundaries of creativity given access to a brand new medium to flex their innovative muscles. While current website design wisdom points to making a website best viewed on all devices, from smartphones & tablets to laptops and desktops, he next step will be the virtual reality realm, finding ways to turn web pages into a 360-degree experience. While this will probably create unique challenges, it won’t be an arena suitable for every company or website – yet. Brands who appeal to the demographic who will likely be the earliest adopters of the technology – tech savvy millennials with a fair amount of disposable income and hobbies that rely heavily on the digital world – should be the first to try to develop this so they can take advantage. Media companies sharing stories can now place you in the middle of the action and closer to the story, like Elle Magazine’s plans to stream fashion shows on the platform in the coming year. It will be imperative for brands to at least begin to think about the ways they can slightly alter their current content to work in 360-degree environments. While tons of online ads already have an interactive element triggered by clicks, hovers and touches, VR has the ability to take this to a whole new level. VR Content could have more seamless native ads, creating advertisements that appear to be part of the VR world it’s part of, giving you the option to go towards it or otherwise interact with it to view it and go further. Travel companies can share condensed experiences of locations all over the world in order to sell flights, hotels & more in a way they never could before. This will all build on top of concepts that exist already – video ads, native ads, video news pieces etc – but in a much more interactive way that will likely change the way we experience them and may make us more receptive to ads. As they online ad landscape gets a bit more tricky to navigate, this might push brands to make much more of a creative push. Imagine the perfect blend of the in-store shopping experience….from the comfort of your home. Soon, it will be possible for consumers to peruse stores, compare prices, even try on items without leaving their home. It would create the ideal hybrid of having the in-store experience of browsing, seeing sales & seeing how items look close up with the convenience of completing the transaction online just like any other online purchase. This would be perfect for users hoping to shop brands that aren’t available in brick & mortar stores in close proximity to them, but still wanted to feel a more connected shopping experience. This full layout set up would also work for industries where the inside really counts, like real estate sales, rentals & more. 3D models and illustrated plans are one thing – there are even 360-degree property tours but viewing it on a screen in front of you with peripheral information is different than being able to fully visualize, walk, turn, enter multiple spaces and rooms & more. However the next few months develop, it’s easy to see that VR will play an important role in how brands take their next steps and plan the next few quarters.